I’ve always felt that flies were the “currency” of our sport. We trade them, gift them, hide them, steal them, covet them. Indeed, they possess something of intrinsic value. They embody part of the very soul of the tyer. And to me, they’re far more valuable than money. 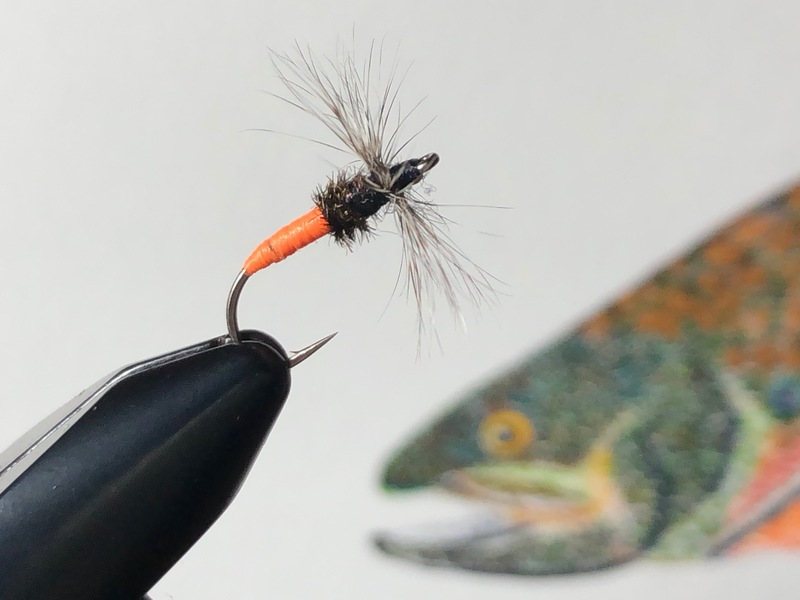 I’ve been lucky enough to amass a small fortune in other tyer’s flies. Some are from close friends. Some are from renowned tenkara anglers I’ve met. And some from ones I’ve never met, but hope to. The latter is the case in my latest fortune: a set of flies tied by legendary tenkara angler Yuzo Sebata. If you don’t recognize the name, you owe it to yourself to google it. He’s one of the most skilled, charismatic, and avid tenkara anglers on the planet. 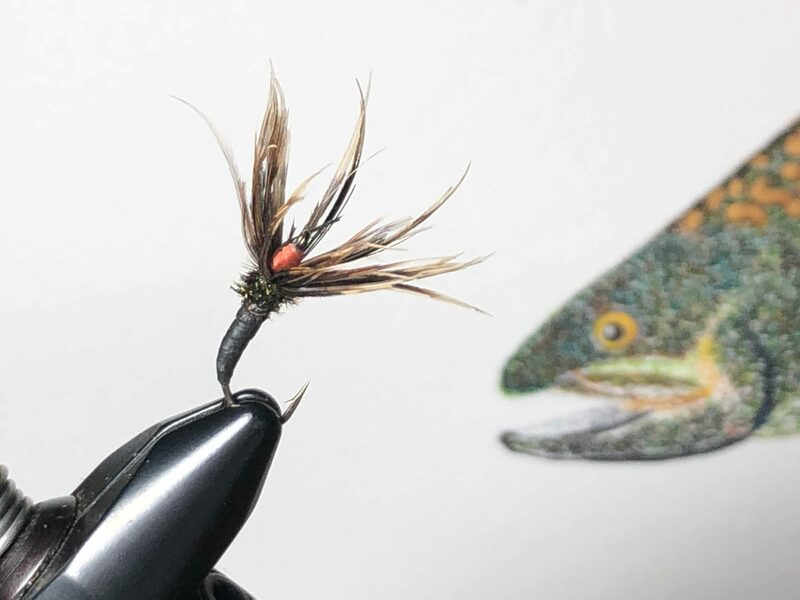 To re-write his biography here would be far beyond the scope of this post, so I’ll leave it to the reader to do their own research and discover his passion for tenkara the way I have: through the countless articles and videos documenting his acumen. 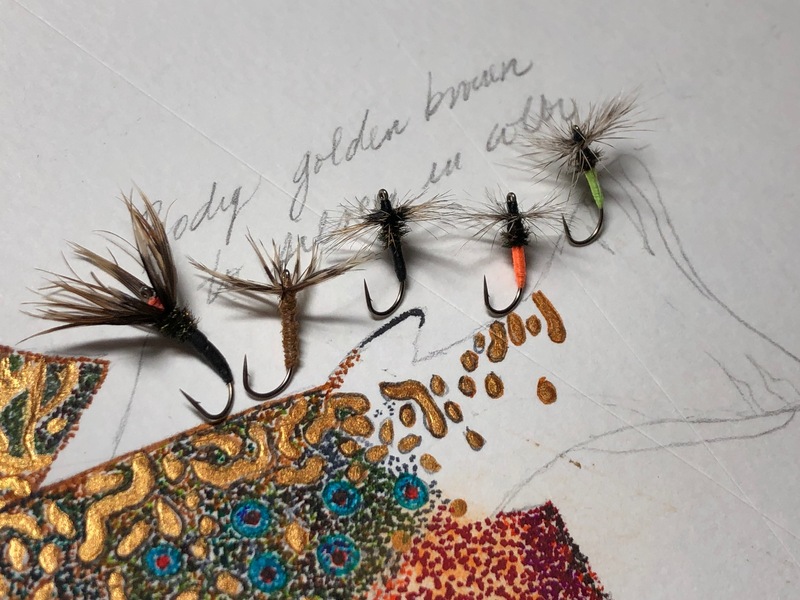 Here are the flies … all tied by Sebata-san himself and the only patterns he uses in his mountain streams in Japan. 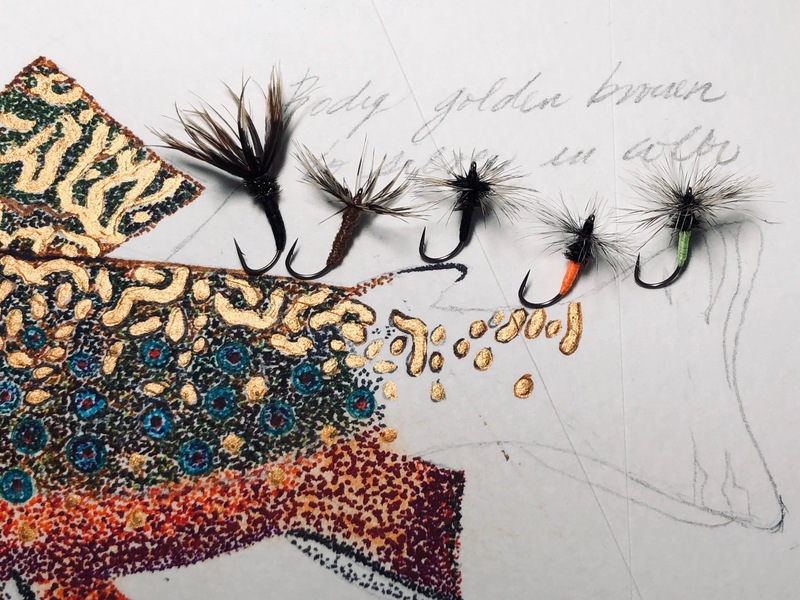 The patterns I got were orange and lime green with grizzly hackle, but he also ties them in yellow, and also with pheasant hackle (Kiji-bane Sakasa Kebari). I’m not sure the two patterns above have names, but if anything could be called Sebata-san’s “signature” flies, these would be it. He ties them with a body of thin strips of black adhesive tape used for plumbing. 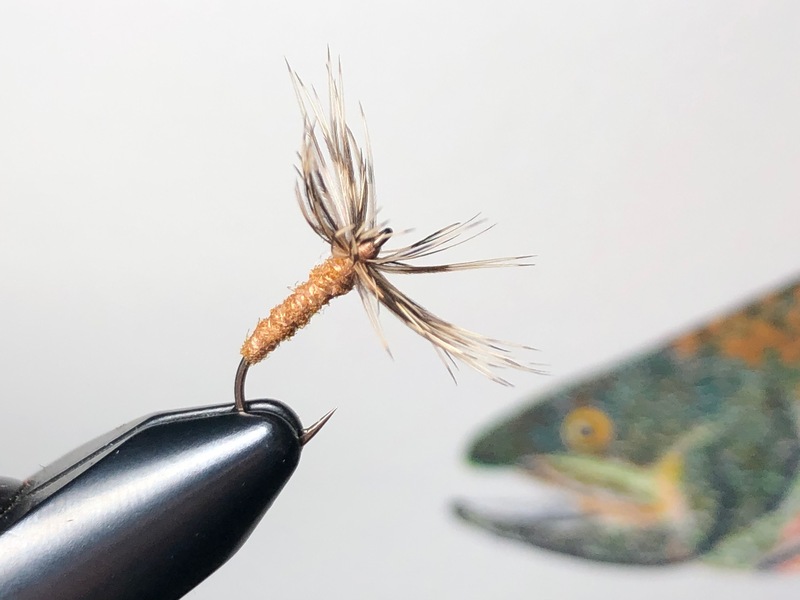 It’s a definitive nod to tenkara’s roots in practicality and utility. 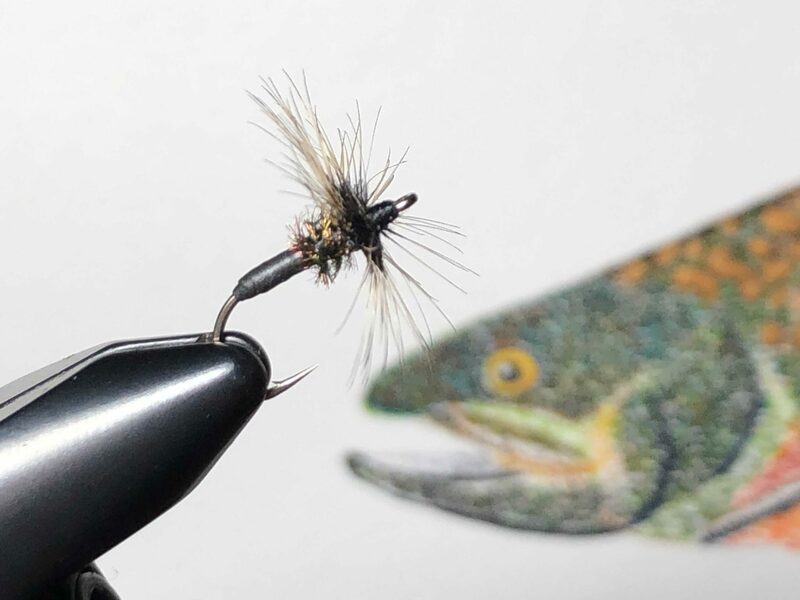 Here’s a really interesting video showing how he ties these esoteric flies (notice what he’s using for thread!). If flies are currency, then getting one tied with zenmai is like finding a gold coin in a fistful of change. Zenmai is a prized dubbing material made from the fuzzy fibers of a sprouting fern. It’s a classic mountain material that few tie with because of its defiance toward being easily twisted into a neat, smooth body, but its color is unique and unmistakable. I may never get to meet Sebata-san in person and if I don’t, at least I’ve got the next best thing in a special place in my tying desk: a part of the tyer’s soul. 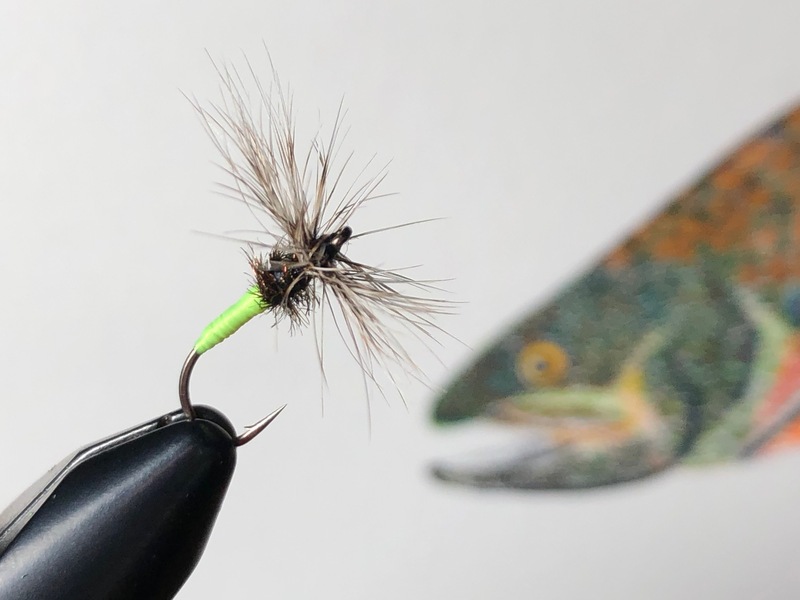 Flies are the currency of our sport. And I am grateful to be a rich man. That was a pleasure to read. Thanks for sharing. To me, this is more like art than science. I do not have the patience or skill to create anything of such character or beauty but I can appreciate the talent it takes to do it. Thank you for sharing these with the rest of us. The first two flies are taped bodies as well? No, the first two flies are thread-bodined. Not tape.